For many years Deborah has been interested in the impact of the Great Exhibition of 1851 on industrial design. In the paper, The Bauhaus Dessau 1979, given to the Cold War Conference at the School of Advanced Study at London University, she drew on her own experience. Her two week participation at a conference on playground design at the Bauhaus in Dessau in 1979 has given her much experience and material on which to draw and to assess the impact of the Bauhaus on industrial design across political boundaries. 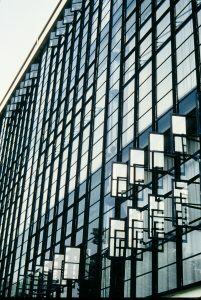 The influence of the Bauhaus, on industrial design and architecture, on both sides of the Iron Curtain, resulted in a universal modernism. Opened in 1914 by Walter Gropius, the aim was to educate students in design, engineering and technology to make affordable, well designed, industrially mass-produced products in contrast to traditional handcrafts. Politics intervened in 1925, when Weimar’s conservatives closed it. 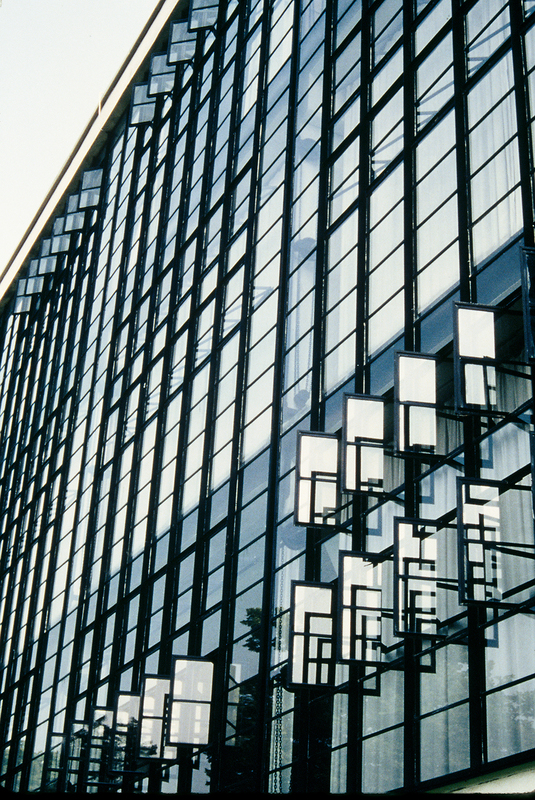 The swivel, metal framed windows at the Bauhaus in Dessau, were novel when designed in the 1930s. 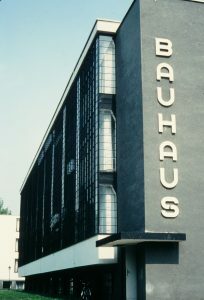 Then the iconic, modernist Bauhaus was built at Dessau, until deemed degenerate by the Nazis in 1932. The UN Year of the Child coincided with the DDR’s 30th anniversary in 1979. 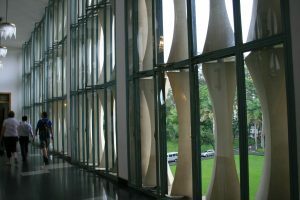 I was a UK delegate to an international conference at the Bauhaus, Dessau. The brief was to design a blueprint for kindergarten playgrounds across the DDR. Using archive and conference material, the paper will examine: the legacy of the Bauhaus; its acceptance by DDR/USSR; its influence on architecture andsimilarities of design issues for both sides in the Cold War; a conference as a PR platform. 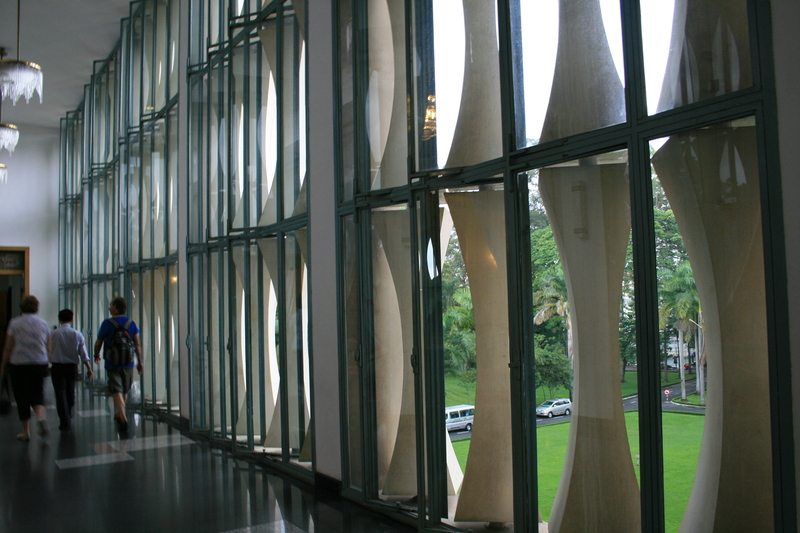 The metal framed windows in the Reunification Palace Ho Chi Minh City (Saigon), Vietnam, which was built in the 1960s, are another example of the global influence of the Bauhaus. Photograph by Deborah Jaffé October 2010.